The modern-day vehicle is a thing of inconvenience to the DIY mechanic. More and more aspects of contemporary vehicles are operated by computers, making the everyday tools in our toolboxes close to obsolete. Spring is here, which brings with it a need to do a once-over on our vehicles to ensure winter didn’t damage anything important. 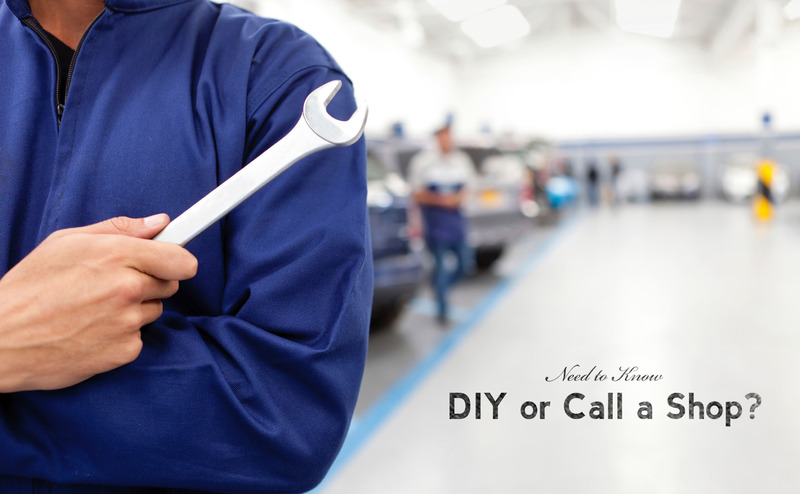 Depending on the make and model of your vehicle, there are some money-saving DIY items you can do yourself, from home. Wipers: This isn’t a place of judgement, just simple, straightforward advice. IF (hypothetically) “someone” in your house used the combination of wipers and fluid to clear snow and ice off a windshield….ok. Just know, it causes premature wiper wear, so you might want to replace those wipers to avoid messy streaks and annoying squeaks when the wipers are doing their intended function, clearing your windshield of rain. Lighting: Oh-so-important and yet oh-so-neglected. Bulbs are usually fairly easy to replace and they make your journeys safer. Even the big ones, like headlights, can be done on most vehicles with basic tools. Noises: After driving through the winter slush, puddles, ruts and potholes, your car might have a few new rattles. If you can, drive alongside a building with the windows down. The wall will reflect the sound so give it a listen, and you may be able to hear the location of the sounds. Often, a door screw or a connection under the dash has come loose. These items are usually easy to identify and fix and if you can’t then you have an accurate description of the sound to give to your service provider. Vermin: It’s not uncommon for rodents to be attracted to the warmth of recently parked vehicles, and climb up into shielding and air-filter housings proceeding to chew through wiring harnesses. To avoid potentially dangerous electrical issues (think: fire) take a good look beneath the hood with a flashlight. More on nature: If you park near a tree, leaves have almost certainly made their way into the blower motor housing, causing weird sounds and unpleasant odours as the leaves decay. YouTube has many tutorials for how to replace the blower filter. Suspension and alignment: Many tools and processes go into properly diagnosing, replacing and testing suspension components. Not to mention the wheel alignment, which is often recommended after replacing tires and finagling your suspension. It is best to let your mechanic sort that out for you. Fluids: Owners manuals are notoriously inaccurate when it comes to specifying intervals for replacing fluids. Fluids break down over time, become contaminated and less effective. Oil changes can still be done in your driveway with the right gear, but transmission, brake, and hydraulic fluid flushes and replacement are much more easily accomplished in the shop. Brakes: Having working brakes on your vehicle is pretty darn important for your family’s safety. Winter weather can wash away the lubricants your brakes need to perform efficiently. You don’t want corrosion in your braking systems, so bringing your car into the professionals will ensure you get a full inspection, repair and a green light. Tires: It’s time to swap back to your all-season tires, so have them inspected for wear, and if you haven’t done it in a while, get your tires balanced. Ask the shop to check the condition of your spare tire. Money-saving tip: Spring is an ideal time to take advantage of manufacturer rebates on a new set of tires. We can point you in the right direction if you are in need to find the best deal possible. Ready to get your vehicle ready for summer? Give us a call and we can set up an appointment at your convenience and have you ready to go in no time.